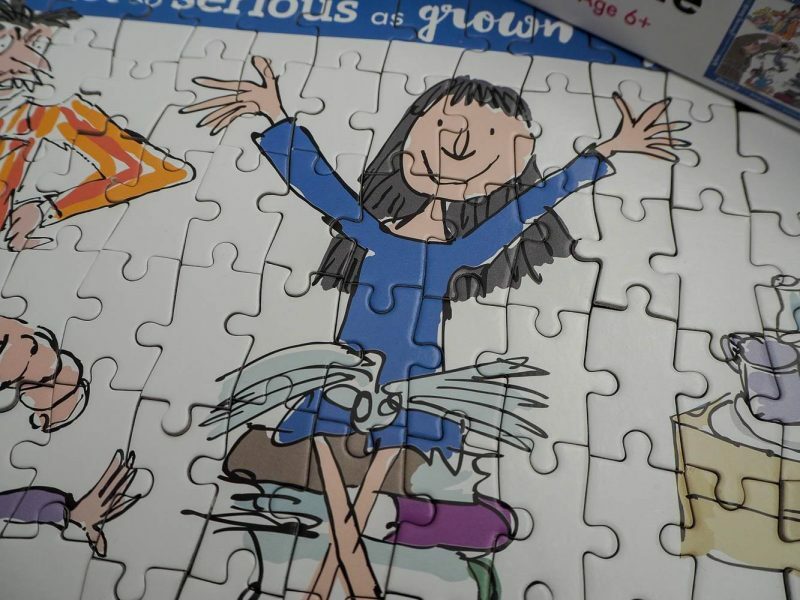 A Love Of Jigsaw Puzzles…Roald Dahl Matilda – Plus a Giveaway! I’ve always loved to do a jigsaw, I have a logical mind that seems to suit doing them. Plus they are very therapeutic and satisfying when you finish them. My love of them seems to have passed down to my girls and they both love doing a jigsaw puzzle. Holly is actually extremely good of them and can easily do puzzles that are marketed for a much older age range. She must have my logical mind! 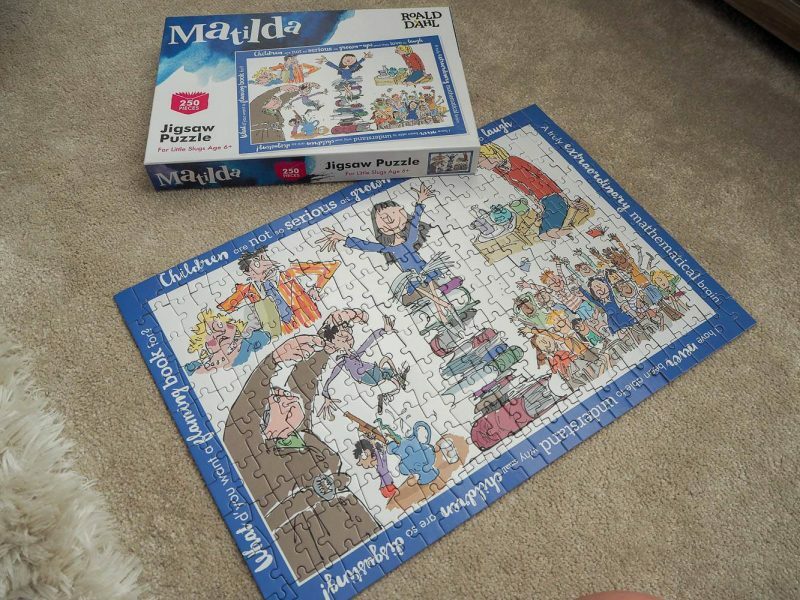 We were recently sent the Road Dahl Matilda Jigsaw Puzzle and with Alice’s current love of the book Matilda this was perfect for her. Last weekend Holly went off to her first birthday party from a friend at preschool, which didn’t include Alice too. This meant Alice and I had some much needed time together just the two of us. We headed off to the cafe for a hot chocolate and cake. Alice kept commenting about it only being the 2 of us and it reminded me that I need to do this more often. We then headed home and we sat together to the Matilda Jigsaw Puzzle. Alice immediately telling me that daddy had told her to start off by doing all the edge pieces. Great advice! 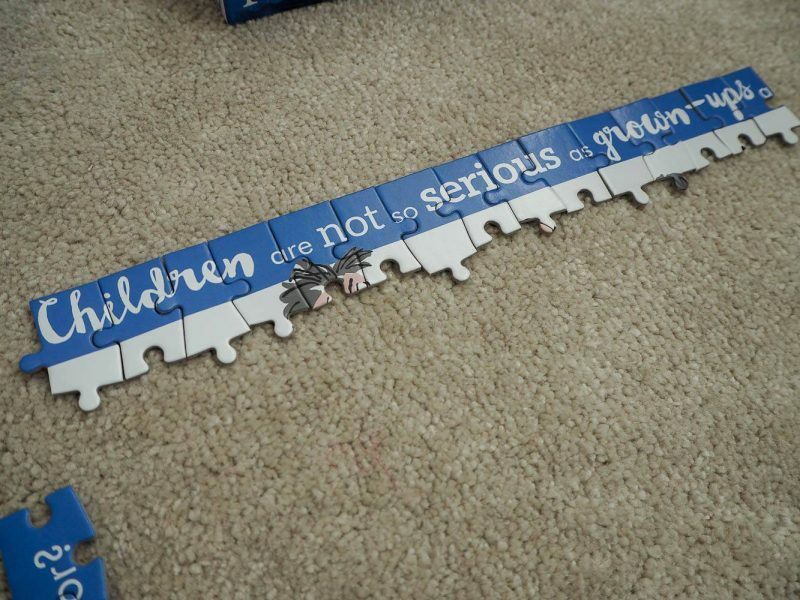 Especially because with this puzzle all around the edge was phrases from Matilda and it was definitely a good idea to do these first. We made a great team with me finding out all the edge pieces and Alice working out where they go. Because it was all words around the edge it added a level of learning for Alice too. Reading out the sentences and working out what style of writing matched. Once we had the edge done, the rest of the jigsaw puzzle easily falls into place. Alice was spotting that Matilda’s daddy had a bright striped jacket and those pieces were easy to find. That Mrs Trunchball had her grey dress on and that was another easy one to spot. It was really lovely to spend time just Alice and I, we both really enjoyed doing the jigsaw together. Alice was really pleased with herself when she finished. 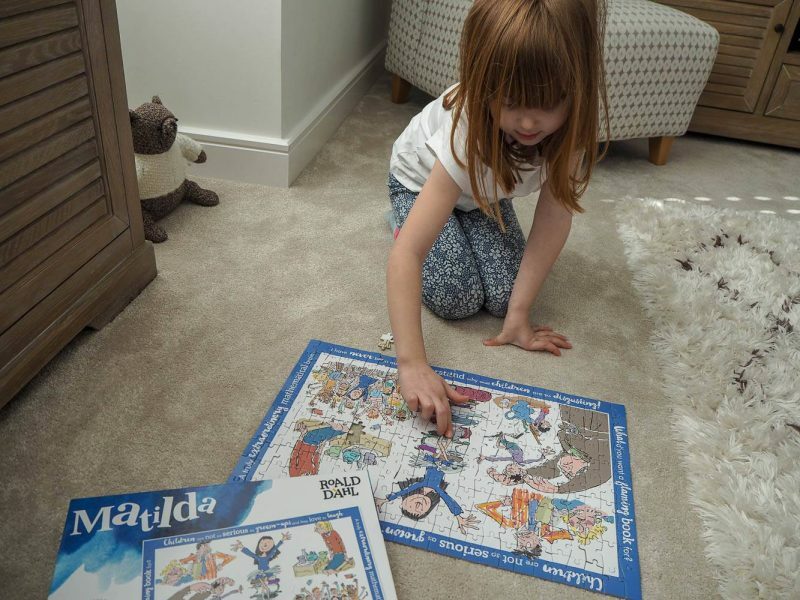 The Roald Dahl Matilda Jigsaw Puzzle is suitable for age 6+ and has 250 pieces. It is priced at £8.95 and is available to buy at Paul Lamond Games. 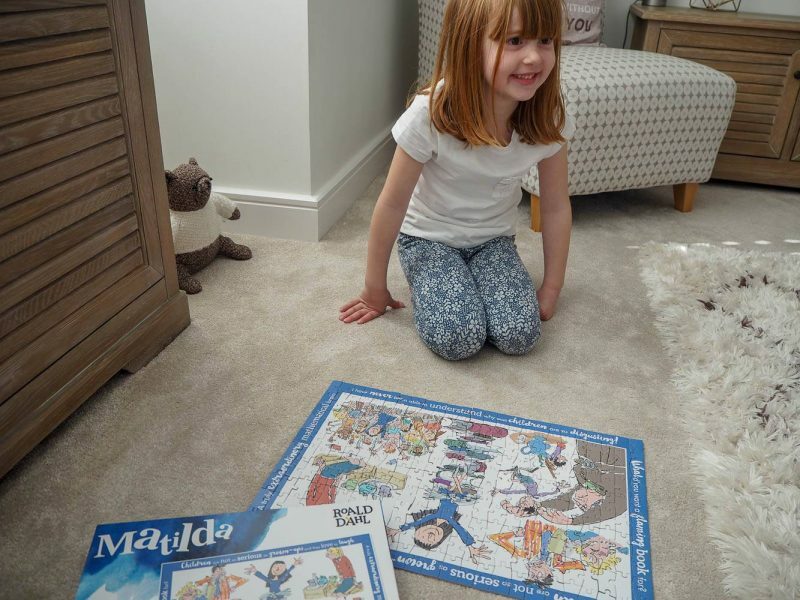 We loved doing our Matilda Jigsaw Puzzle and I wouldn’t be surprised if my little Holly could help us next time. 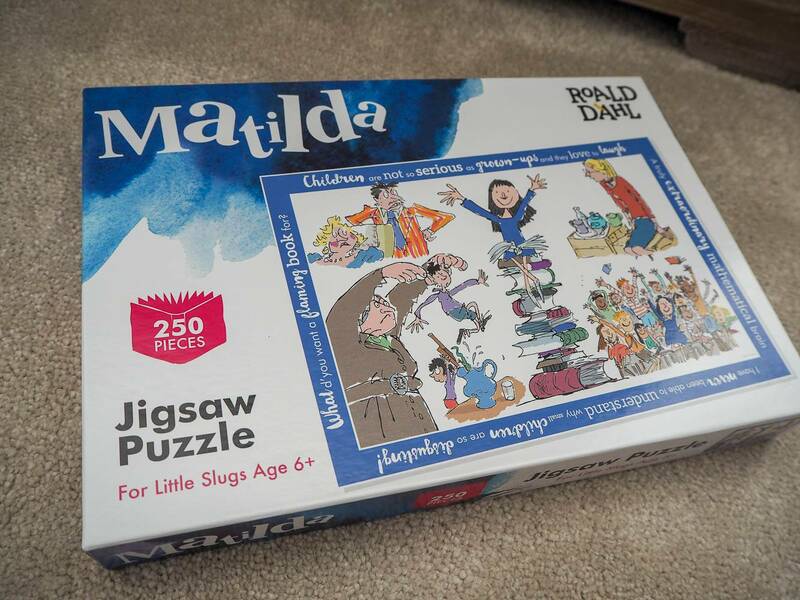 Paul Lamond Games are giving 1 lucky reader the opportunity to win a Roald Dahl Matilda Jigsaw Puzzle. To be in with a chance of winning, head to the Rafflecopeter below. Good Luck! Disclosure: We were kindly sent our jigsaw puzzle in return for an honest review. All views and opinions are my own. Beautiful puzzle, my grandson would love it! This looks like a great puzzle, my two would love it as well so I’m off to enter. Strangely they’re at about the same level when it comes to jigsaws because my youngest is so much better at concentrating so it’s something we can all do together. What a great prize. All my grandkids love puzzles and roald dahl stories, so this special one to keep at nannys house would be just perfect. Oh this is just beautiful. My eldest would love this. I’m rubbish at puzzles myself but my boys seem to have got their dad’s logic! That is such a lovely jigsaw! I always think jigsaws are a lovely activity for grotty days, like all this blimmin snow! I love all the Quentin Blake illustrations so this is really nice! I adore the illustrations on this puzzle! I secretly love doing puzzles with my kids! Thanks for the giveaway! 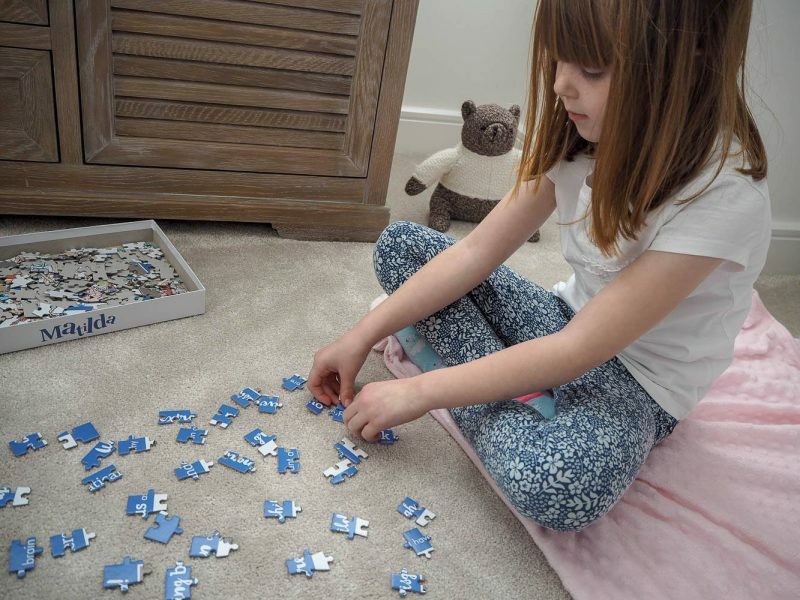 Sitting down with a jigsaw is a great way to spend time with your kids. And, being from Cardiff, we love Roald Dahl. 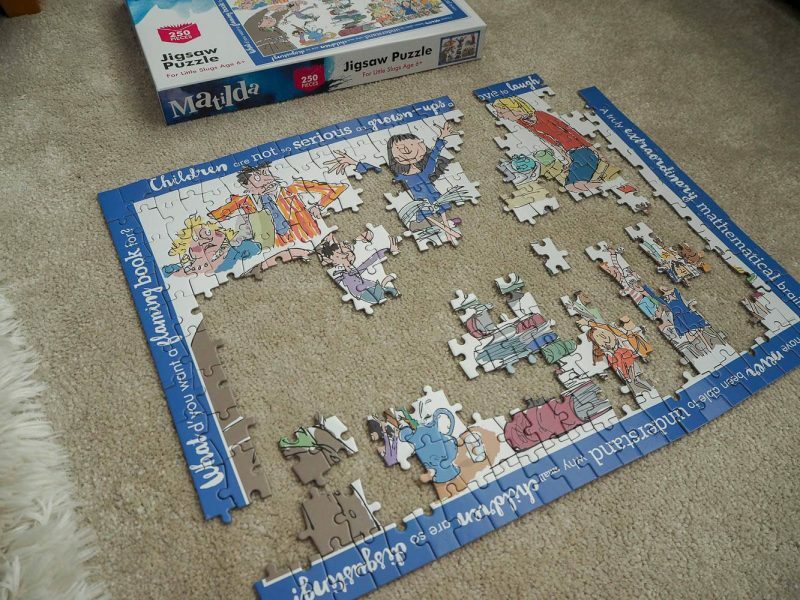 What a fab puzzle, Matilda has always been my favourite Roal Dahl film. Lovely prize, Matilda is my daughter’s favourite character. My little would love this. Grandson would love this. Thanks for the chance to win.